The material is 304 stainless steel. Providing the function of mixing, dispersion, high-performance shear and emulsifying and three-level water treatment. High production efficiency and stable quality . It's the first choice for producing detergent product such as shampoo,body lotion, washing detergent. Can directly treat the tap water. 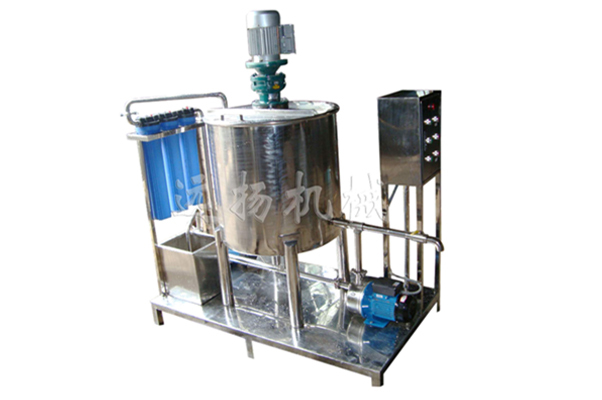 The Pipeline High Shear Dispersing Emulsifier is a high-performance equipment. It can make the material processing continuously and circularly. Breaking through the traditional high-speed scattering and abrasion processes, using a high-speed rotor and a precision stator operating chamber to create a strong hydraulic shearing force, a centrifugal extrusion pressure and a high-frequency mechanical effect, enabling adequate material fining. And make the production homogeneous and capacity stable.